Gynecomastia surgery, or male breast reduction, can lead to a sculpted, masculine-looking chest by eliminating excess breast tissue. 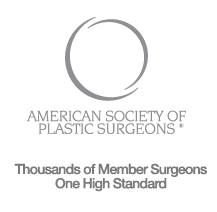 Though breast surgery is often associated with women, breast reduction for men is a commonly-requested procedure to restore slimmer, athletic-looking contours to the chest. Gynecomastia is a disorder stemming from genetics or hormonal changes that can result in the development of enlarged breasts. Excess fat and tissue around the pectoral muscles can be a cosmetic concern for male patients. Depending on the specifics of your condition, male breast surgery may be recommended to improve the aesthetics of your chest. Dr. Oppenheimer can remove and reshape chest tissue to produce natural-looking, masculine curves. Gynecomastia surgery is performed at our outpatient surgical facility or a local hospital, depending on your particular treatment. Liposuction and surgical techniques can be used in unison to accentuate chest contours. During liposuction, small incisions are made around the chest and cannulas are introduced underneath your skin. Small amounts of excess chest fat are then extracted to reduce the size of male breasts. During your male breast reduction surgery, incisions are made along the pectoral crease. Excess skin is redraped and can be removed, if necessary, to achieve a firmer result. Male breast reduction can be used alongside male body sculpting procedures, including abdominoplasty, arm lift surgery, and liposuction. Together, these techniques can address multiple areas of concern at once. Swelling is usually moderate after undergoing male breast reduction and may last for 2-3 weeks post-treatment. Many patients return to work after the first week of recovery, though the specifics of your healing time will depend on your individual procedure. Patients should avoid any strenuous activity for at least 2 weeks following gynecomastia surgery. Male breast reduction can restore masculine-looking definition to your chest. This surgery is meant to be a long-term solution for the aesthetic effects of gynecomastia. You can expect to see results within the initial months of your gynecomastia procedure.